Regardless of the surgical nuances, failed antireflux operations can be analyzed and subdivided into three distinct anatomic regions. Failure can occur at the esophageal, wrap, or crural level, although there may be overlapping or concurrent issues. Before the wide adoption of laparoscopic techniques,wrap disruption was the most common mode of failure. In the laparoscopic era, the most common cause of failure is herniation of the wrap through the diaphragmatic hiatus. The construction of a fundoplication (particularly a 360° fundoplication) may unmask previously unrecognized esophageal dysmotility or misdiagnosed achalasia leading to severe postoperative dysphagia. Chronic inflammation can also contribute to esophageal failure. Both Barrett's esophagus and severe esophageal reflux are associated with chronic esophageal inflammation. Chronic inflammation results in fibrosis, foreshortening, esophageal dysmotility, and poor acid clearance. Poor acid clearance in turn contributes to more esophageal irritation and the vicious cycle is propagated. Over time, the esophagus may become significantly foreshortened and fibrotic. Although there is controversy over the true incidence of the short esophagus, we believe that this entity exists. Figure 8.5. The body or antrum of the stomach can be mistakenly used to form the fundoplication. 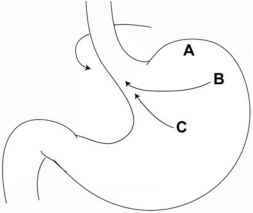 A proper fundoplication is constructed by wrapping "A" around the distal esophagus and bringing "B" anterior to the esophagus to join "A." 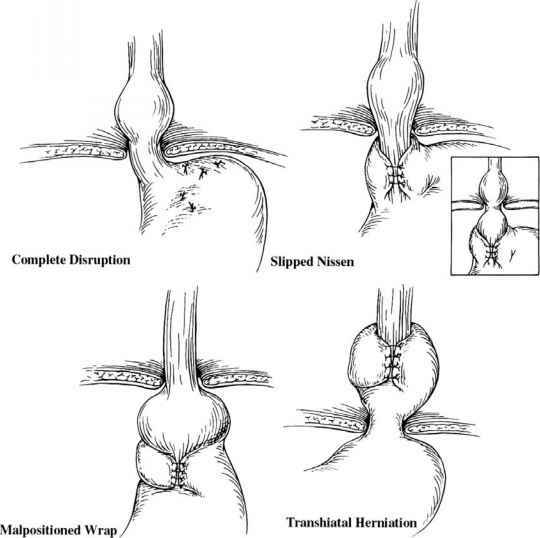 By bringing "C"anteriorly to complete the wrap,a malformed fundoplication will be created. lization of the fundus in order to create a wrap that lies comfortably around the esophagus. There are a myriad of partial fundoplications in use today. The most common laparoscopic partial fundoplication is the posterior fundopli-cation described by Andre Toupet. Because few surgeons had experience with this repair in the open era, modern-day laparoscopic surgeons tend to make this fundoplication too short. In contrast to the Nissen fundoplication, longer is better for a Toupet procedure. The wrap should extend for at least 4 cm. Belsey fundoplication failures are usually attributed to inadequate esophageal mobilization or improper depth of suture placement when constructing the wrap. Without a doubt, the best time to prevent recurrence is at the time of the original procedure. Anticipating potential pitfalls and problems at the esophageal, wrap and crural level during the initial procedure will prevent later complications. We recommend esophageal manometry for all patients before anti-reflux surgery and if weak peristalsis is present, a partial, rather than a total fundoplication, should be performed. The esophagus should be adequately mobilized such that 2-3 cm of tension-free intraabdominal esophagus can be obtained. If a foreshortened esophagus is discovered preoperatively or intraoperatively, an esophageal lengthening procedure should be performed. The establishment of a 2- to 4-cm length of intraabdominal esophagus is a fundamental principle of anti-reflux surgery. If tension is required to keep a fundoplication in the abdomen, transdiaphragmatic herniation will ultimately result. 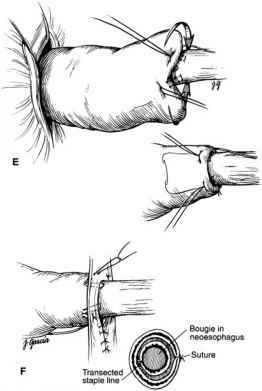 The crura should always be closed with a nonabsorbable suture, often reinforced with the use of pledgets. 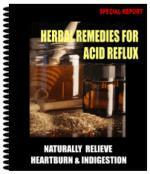 What causes severe acid reflux post Fundiplication? Can stress make fundoplication fail? What are causes of gerd surgery failure? Why would nissen fundle fail?